U30Bs 846, 847 and 850 at Erie, Pennsylvania on May 19, 1973 (Bill Volkmer). U30B 846 unknown date and location. 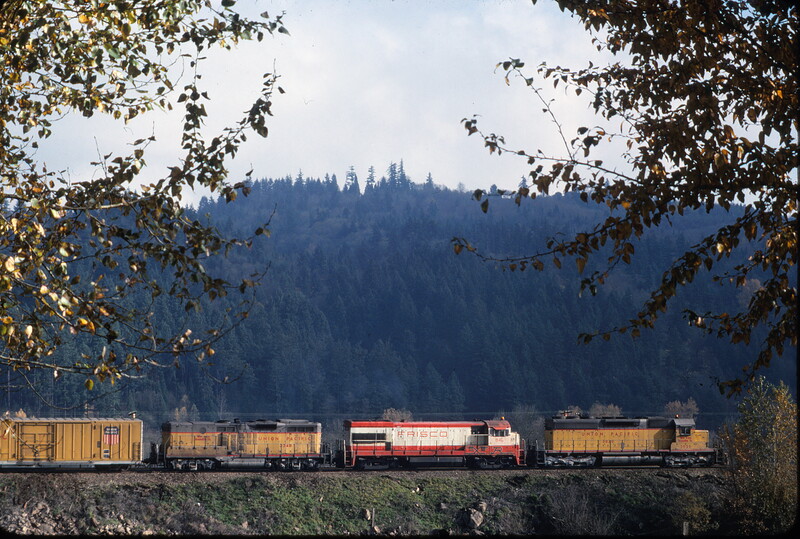 U30B 846 at Longview, Washington on UP freight in November 1977 (G.E. Stadter). 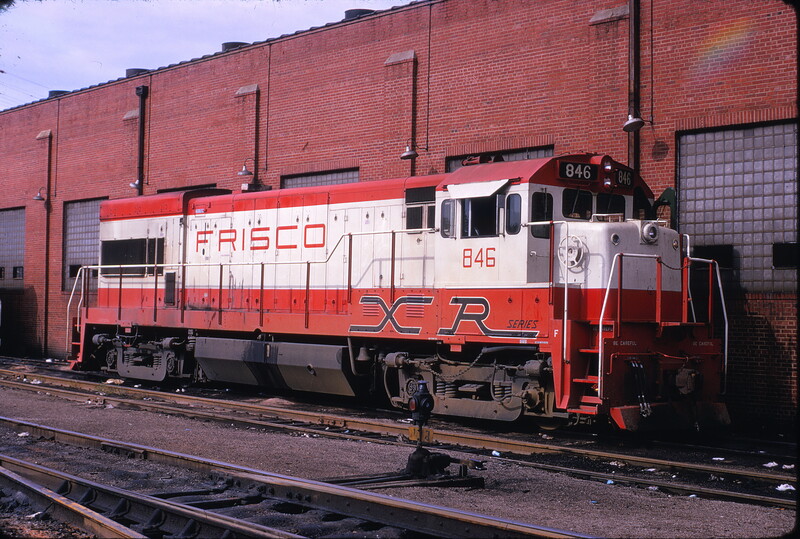 U30B 846 at St. Louis, Missouri on September 22, 1973 (Ray Sabo). U30B 846 Oklahoma City yard in August 1973. 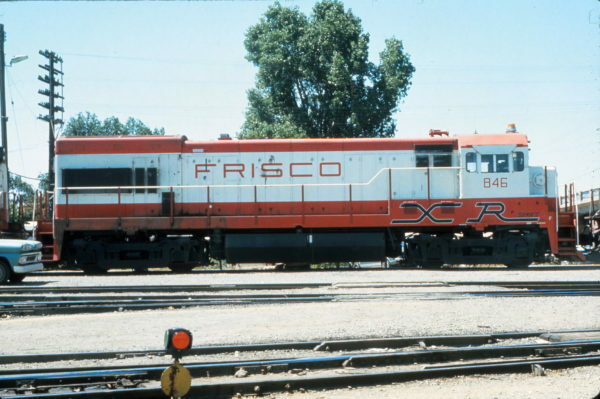 Location is Oklahoma City yard. 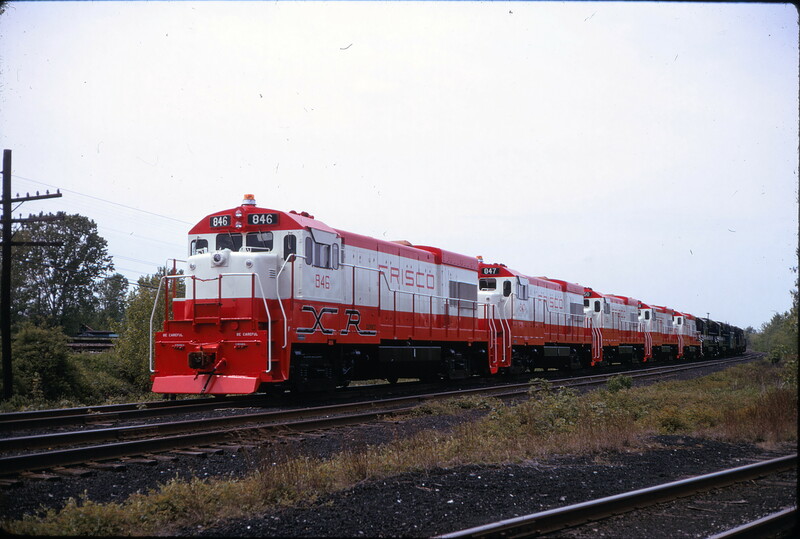 The engines are on the main line facing west. 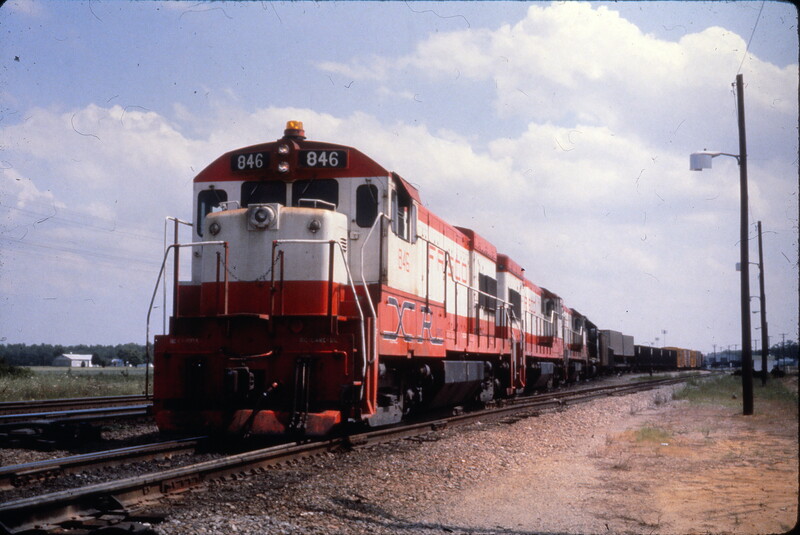 U30B 846 at Springfield, Missouri in June 1973 (Golden Spike Productions). U30B 846 at Birmingham, Alabama in December 1973. 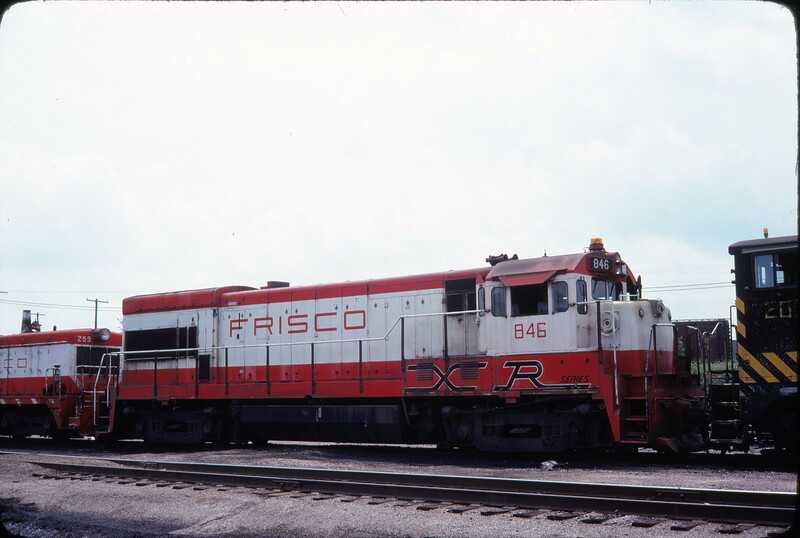 This photograph was taken at the Frisco Mechanical Department’s locomotive facility at East Thomas Yard. 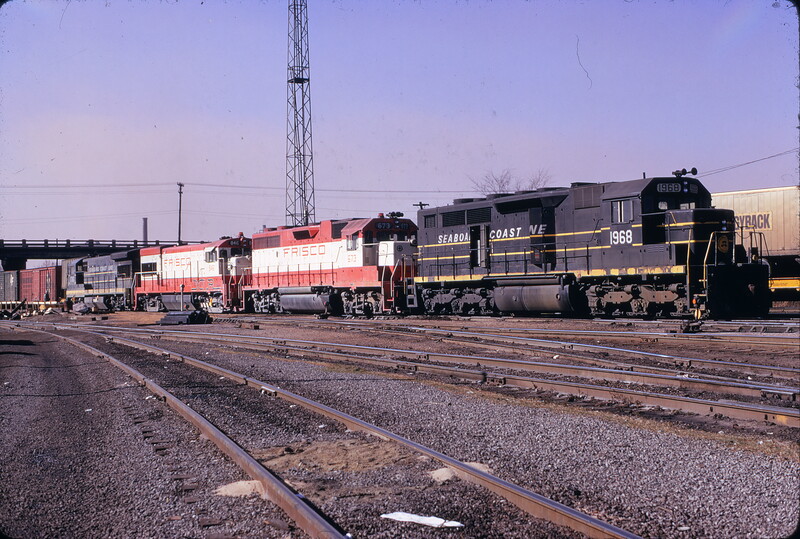 In the distance to the left of the subject locomotive’s nose is the converted roundhouse at this location. 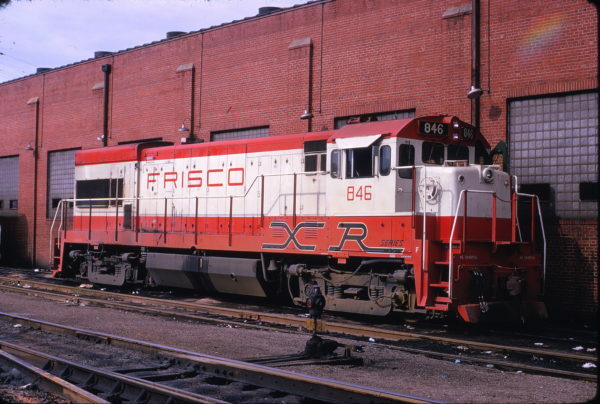 The shop was converted during the transition era from servicing steam to diesel locomotives. The subject locomotive featured special lettering applied by the builder, General Electric. As delivered the special lettering introducing its “XR Series”. This marked and stood for the manufacturer’s introduction of its “eXtra Reliability” Series. This included new low pressure electrical cabinets with modular electronic components. 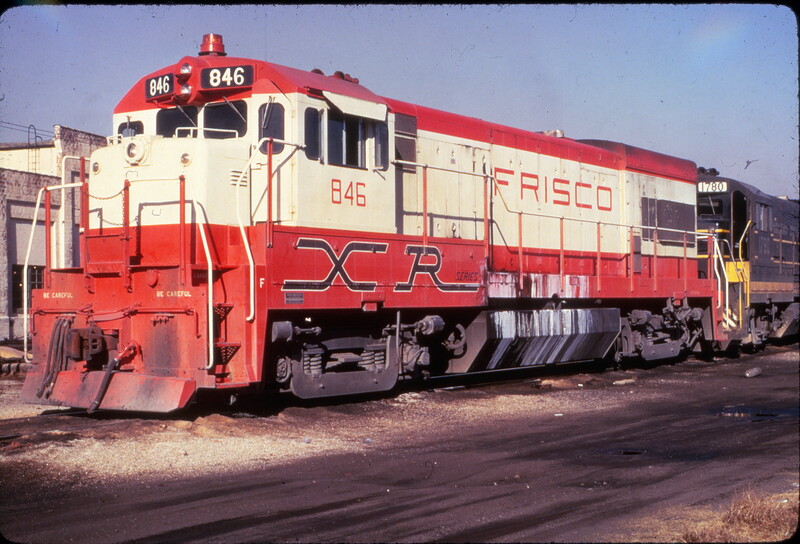 The only other locomotive to feature the special “XR Series” lettering was Louisville and Nashville U30C 1499. 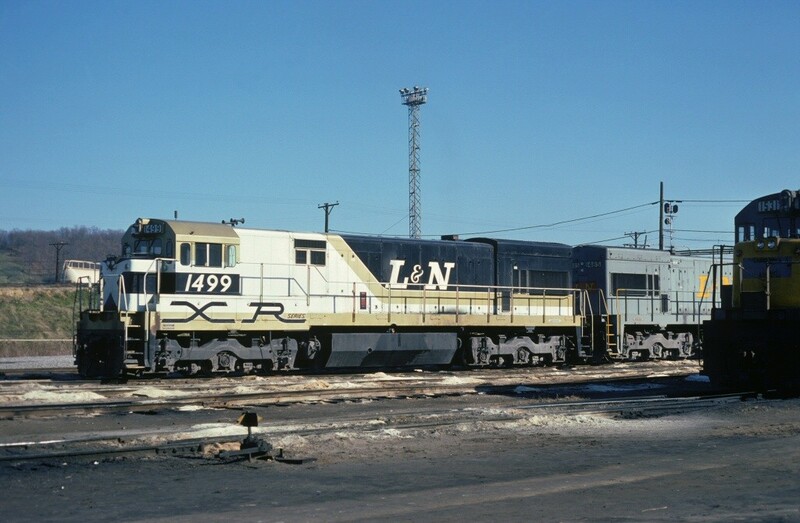 In addition to the special lettering, this six-axle unit also featured a unique special paint scheme of gold, white and black. Coupled behind the subject locomotive in black and yellow paint with silver lettering is Seaboard Coast Line U36B 1780. 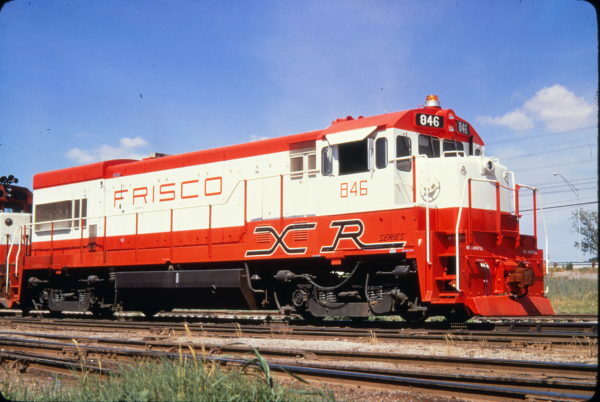 During this era the Frisco, Seaboard and Union Pacific pooled locomotives together on expedited transcontinental run-through trains between the east and west coasts.